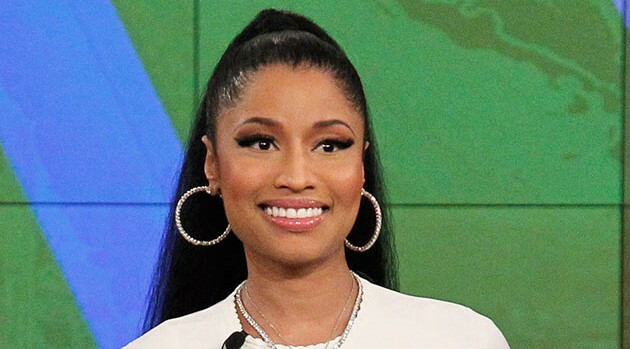 Minaj has raised eyebrows with her recent Twitter post, in which she shares some diamond ring emojis. “I’ll post it later,” she cryptically tweeted. Her tweet came a few hours after she posted an Instagram image of herself with the rapper on Tuesday evening — and yes she appears to be wearing a huge diamond sparkler on her ring finger. “I wish every night could feel like last night,” she captioned another photo, prompting many to wonder if Mill had proposed. Although they have yet to confirm the reports, Meek recently professed his feelings for Nicki for the first time, even revealing that he feels “lucky” to have her. “Find a woman that you think is strong enough 2 help you takeover the world!” Meek wrote on Instagram. The pair have been romantically linked since late last year, after Nicki split with her longtime boyfriend, Safree Samuels.